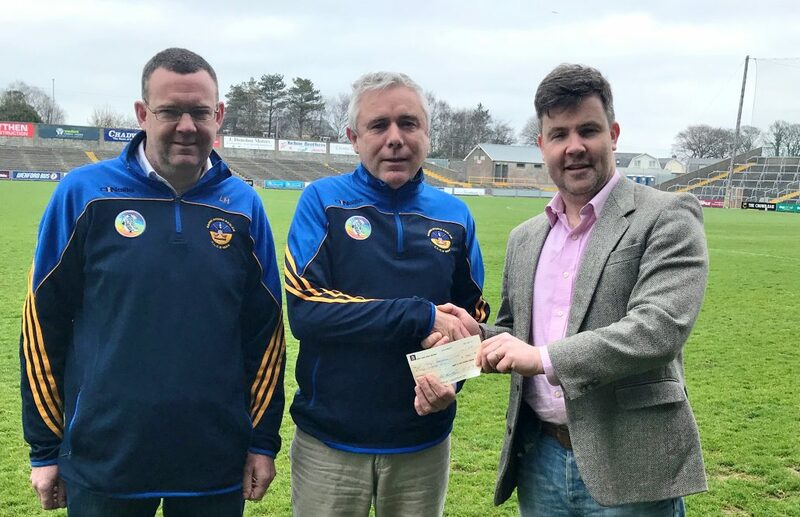 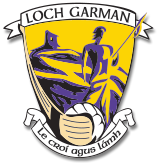 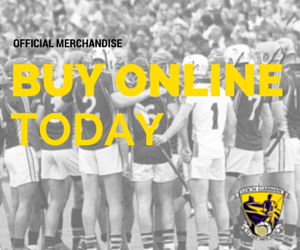 Wexford GAA is delighted to support the two teams from Wexford travelling to the Scór All Ireland final in Sligo on Saturday 14 April. 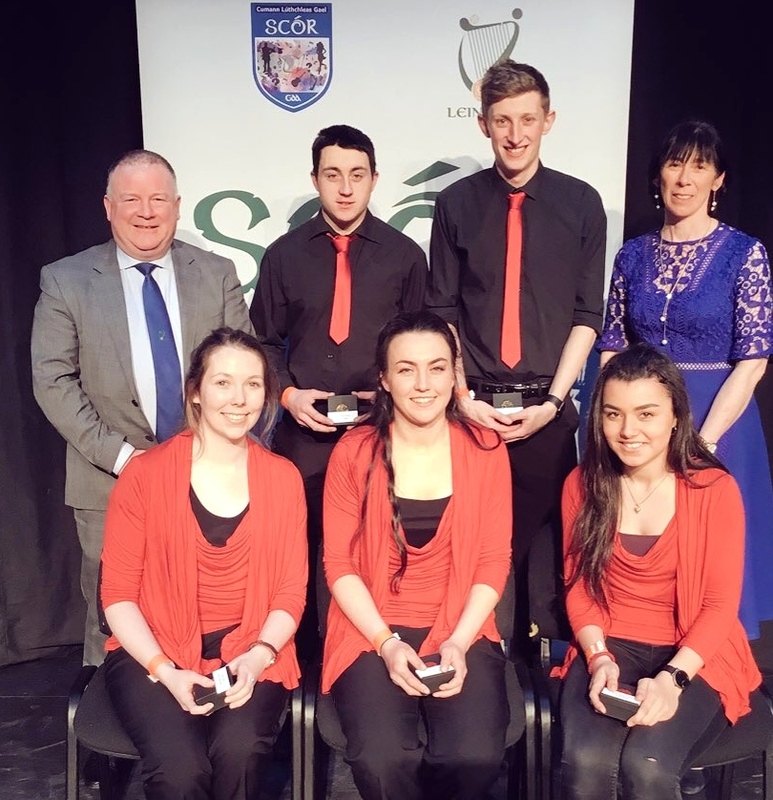 St. Mary’s Rosslare will compete in the table quiz final and Bannow-Ballymitty will be in the instrumental music group final and we wish them every success. 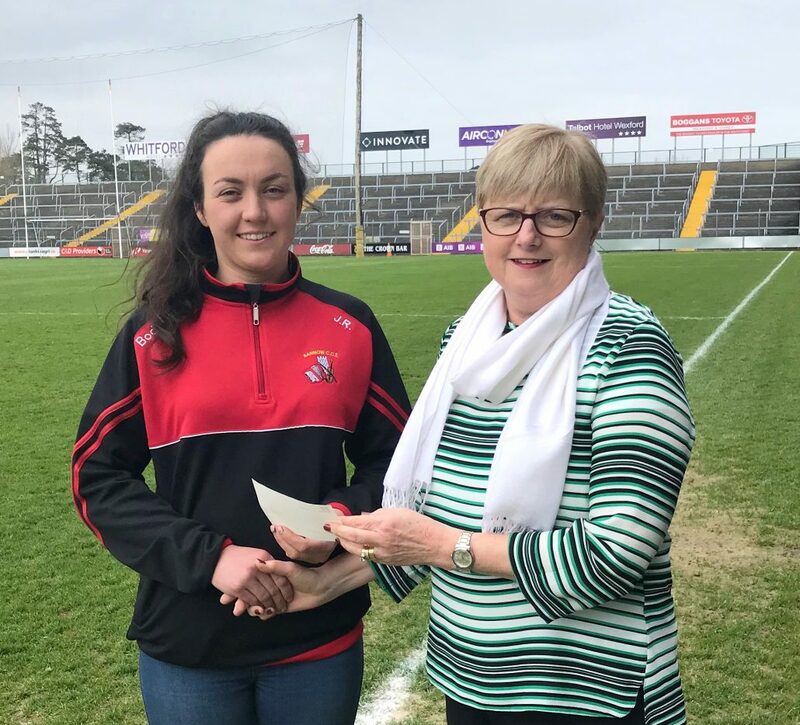 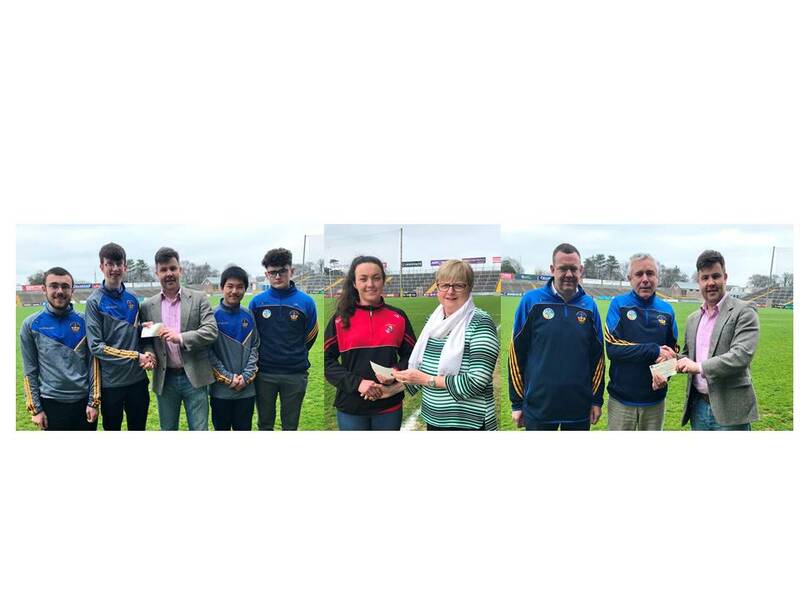 Pictured below are Jessica Reville from Bannow-Ballymitty receiving a cheque from Margaret Doyle, County Secretary, and Leo Harte and Richard O’Connor from St. Marty’s Rosslare being presented with a cheque by Cian Ó Lionáin, Irish and Culture Officer. 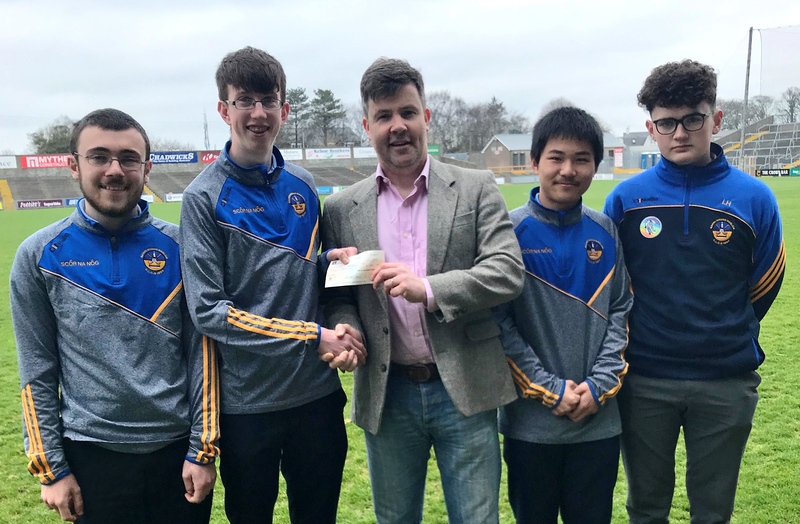 Also pictured is the St. Mary’s Rosslare Scór na nÓg table quiz team who so narrowly lost out in a playoff for the All Ireland title in February (L-R: Manus Harte, David McDonnell, Andy Lin, Danny Holden) and who also collected a cheque from the County Board.